"The 1st installment in the series of Pro Evolution Soccer games was released in October 2001 for both Sony PlayStation and PlayStation 2. It was released under the name World Soccer: Winning Eleven 5 in Japan and North America." "Pro Evolution Soccer 2 (known as World Soccer: Winning Eleven 6 in Japan and World Soccer: Winning Eleven 6 International in North America) is the second installment of Konami's Pro Evolution Soccer football video game series. The Japanese and North American versions were succeeded by two updates: Winning Eleven 6 International and Winning Eleven 6 Final Evolution. It was the last game of the series released in Europe for PlayStation and the unique of the series released for the Nintendo GameCube, though it was the Final Evolution update, and in Japan only. Opening theme for this game is We Will Rock You by Queen." "Pro Evolution Soccer 2 (World Soccer: Winning Eleven 6 in Japan and World Soccer Winning Eleven 6 International in the US) is the 2nd installment and was released in October 2002 and some felt that it was a slight backwards step from the original Pro Evolution Soccer. Others argued that it had improved. The pace of gameplay was much faster than in the game's older sibling, with sharper turns and quicker reactions to tackles. It also included a training session mode. Extra clubs were added, with an extra Master League division. There were two new commentators, Peter Brackley and Trevor Brooking, but this aspect of the game was criticised for the commentators' inaccuracies and tendency to speak over each other. The licensing was much the same, but infamously all Dutch players were called ‘Oranges’, because Konami did not hold the rights from the Royal Dutch Football Association, for use from Dutch players (in fact, plenty of other football games of the period with FIFPro licenses also saw this happen to them - including FIFA 2002 -, following Netherlands' unsuccessful campaign at the 2002 World Cup qualifiers). Also, unlike in the original game, the "unofficial" club names stopped using obvious city names (e.g. Manchester United was Manchester, Real Madrid was Madrid etc. ), and instead used very ambiguous names (e.g. Manchester United were now Aragon, Liverpool became Europort and West Ham became Lake District). The edit mode included a club editor which offset this problem to some extent, with editable kits and logos as well as club and player names. The game notably included tracks from Queen: We Will Rock You and We are the Champions. A PlayStation version (known as World Soccer Winning Eleven 2002 in Japan) was also released, which was again a minor update of its predecessor, and was the last Pro Evolution Soccer release for the original PlayStation." "Pro Evolution Soccer 3 (known as World Soccer: Winning Eleven 7 in Japan and World Soccer: Winning Eleven 7 International in North America also in Japan) is a football video game developed and produced by Konami as part of the Pro Evolution Soccer series. It is also the first in the series which was released on Microsoft Windows. The cover features referee Pierluigi Collina, although rather oddly he doesn't appear in the game." Improved gameplay, control, ball physics, animation and AI. New Shop mode, where points can be traded in for hidden items. Master League expanded to four divisions, with tons of new players. Support for 1-4 players (multitap required for 3 or 4 players). The game does not include any full leagues but 64 clubs from various European countries. 6 clubs are fully licensed, which are the 5 Italian Serie A clubs AC Milan, AS Roma, Juventus, Lazio and Parma and in addition Feyenoord from the Dutch Eredivisie. All other clubs have fictional team names, logos and jerseys. Also player names are fictional, but only if the player is part of an unlicensed national team. Noticeable cases are for example Dutch players (e.g. Von Mistelroum instead of Van Nistelrooy) and German players (e.g. Kalm instead of Kahn). "Pro Evolution Soccer 4 (known as World Soccer: Winning Eleven 8 in Japan and World Soccer: Winning Eleven 8 International in North America) is the fourth installment of Konami's Pro Evolution Soccer football video game series. It's the first game of the series to appear on the original Xbox, with online game. The cover features former Arsenal striker Thierry Henry, AS Roma forward Francesco Totti, and world-renowned Italian referee Pierluigi Collina. It was the first game in the series to feature licensed leagues." A total of more than 200 club and national teams. Three fully licensed leagues(Serie A, Eredivisie and Liga Española). Wear and tear including dirt will be visible on the player's uniforms according to the pitch conditions. Improved edit mode allowing changes to be made to trophy, league and player names." Pro Evolution Soccer 5 (known as World Soccer: Winning Eleven 9 in North America and Japan, sometimes mislabeled as World Soccer Winning Eleven 9 International) is a football video game developed and produced by Konami as part of the Pro Evolution Soccer series. With featuring Arsenal and Chelsea it is the first release of the series which offered fully licensed clubs from the Premier League, which is one of the 3 unlicensed leagues of the game. 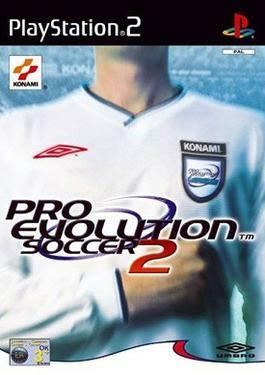 There are also 3 licensed leagues just like in the predecessor Pro Evolution Soccer 4. The game also includes 3 fully licensed leagues, which are the Spanish Liga Española, the Dutch Eredivisie and the Italian Serie A. As with previous versions, the game features an edit mode allowing the player to edit certain elements of the game. It was the last release to feature the German Bundesliga (in the game as German League) before it was replaced by a generic league because of losing the license for the following releases. 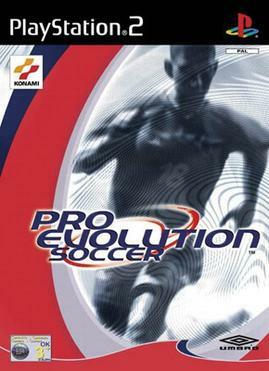 Pro Evolution Soccer 5 marked the series' first appearance on the PSP. The game was also the first in the series to feature online play for the PlayStation 2. Within online play, statistics and league points are stored on the server for each game played. These points determine a team's (player's) position within the five online divisions." New positions such as Second Striker(SS)"
"Pro Evolution Soccer 6 (World Soccer: Winning Eleven 10 in Japan and Winning Eleven: Pro Evolution Soccer 2007 in the US) is the 6th installment in the series and was officially released in the UK on October 27, 2006 for the PlayStation 2, PlayStation Portable, Xbox 360 and PC platforms and on February 9, 2007 for the Nintendo DS. The PC version does not utilize the Xbox 360 engine but is a conversion of the PS2 edition. The PSP version is similar in many ways to its PS2 brother, while the DS version has graphics and gameplay reminiscent of the older PES series on the original PlayStation." "More licenses were added, including fully licensed international kits including the nations England, Spain and Italy to name a few (as well as the ever present Japan license). The French Ligue 1 is now included as fully licensed league, as well as the Spanish, Italian and Dutch leagues, plus several other individual clubs. However, the Chelsea F.C. license from PES5 was removed and, due to a lawsuit, Konami were forced to drop the Bundesliga license. The only Bundesliga team to appear in the game is Bayern Munich. The game had not updated Arsenal's venue to the Emirates stadium; the defunct Highbury is still present. The same applies for Bayern Munich, who, despite having moved to the Allianz Arena, are still represented in the game as playing at Munich's Olympic Stadium. Also, the recent extensions to Old Trafford are not included, while Serbia and Montenegro are still present despite the dissolution of the country in May 2006, this being due to the disestablished state competing at the 2006 World Cup. All teams which competed at the World Cup featured their 23-man squads from the tournament, including those who retired from international football (e.g. Phillip Cocu of the Netherlands) and from the game altogether (e.g. Zinedine Zidane of France), although club teams were fairly up to date." "The Xbox 360 version features next-generation, hi-definition graphics and more animations, but gameplay similar to the other console versions, according to a recent interview with Seabass. The Xbox 360 version also finally introduces the Pro Evolution series to widescreen gaming, a feature that was sorely missing from the PS2 and Xbox versions of the game. Much of the gameplay and editing options were severely stripped down for the 360 release." 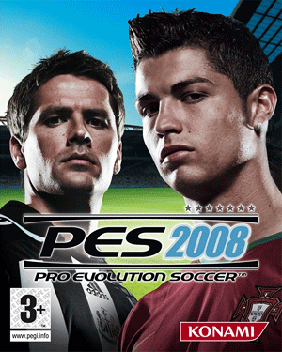 "Pro Evolution Soccer 2008 (Known as World Soccer: Winning Eleven 2008) is the 7th installment in the series. The game cover features Cristiano Ronaldo and a local player (Michael Owen in the UK, Didier Drogba in France, Jan Schlaudraff in Germany, Gianluigi Buffon in Italy and Lucas Neill in Australia. A new adaptive AI system entitled 'Teamvision' was implemented into the game, Teamvision is a sophisticated AI programming that learns and adapts according to an individual's style of play. As such, it will learn new ways to build attacks and to counter specific movements and previous attacking or defensive errors, ensuring games are more in line with the tactical but flowing nature of the real thing. The game was released for PC, PlayStation 3, Xbox 360, PlayStation 2 on October 26, 2007 in Europe, November 2, 2007 in Australia, and December 31, 2007 in Japan. The PlayStation Portable and Nintendo DS version were released in November, and the rather different Wii version. Pro Evo Wii was released in March 2008. It was the first game in the series to drop the Winning Eleven name from its title in the US. The English commentary provided by Jon Champion and Mark Lawrenson for the first time." "20 teams are also in the D1 and D2 Leagues, four more than in past editions. The game's 'in-game editor' however was a large downgrade from previous versions, with players unable to add text to unlicensed team shirts or base copy specific players. On the PS3 the game was a huge disappointment with lots of frame rate issues and strange glitches." "Pro Evolution Soccer 2009 (known as World Soccer: Winning Eleven 2009 is the 8th installment in the series. 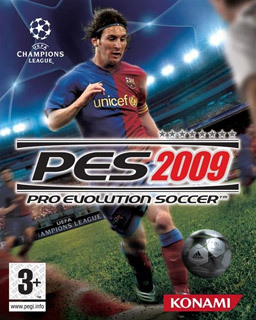 Released on the 17th of October in Europe, featuring FC Barcelona Argentine star Lionel Messi as its cover star (opposite Mexican midfielder Andrés Guardado from Deportivo La Coruña in some versions)"
"While in some respects keeping the same structure of its predecessor, PES 2009 makes a large number of improvements, starting from the graphics, now better suited for HD image technologies. Also, the overall pace of the gameplay was slowed down, with a better AI for computer-controlled teammates as well: they will look for better passing spaces and goal routes." "A new addition of this game is the Become a Legend mode, which follows the entire career of a single player (as opposed to a whole team, like in the Master League) as he moves to better teams, achieves national team caps and wins MVP awards, like the similar mode called Fantasista in J-League Winning Eleven 2007 Club Championship, a special edition only for Japan. This also inspired theBe a Pro mode introduced in FIFA 08." "This was also the first version to include the UEFA Champions League license." "Pro Evolution Soccer 2010 (known as World Soccer: Winning Eleven 2010) is the 9th installment in the series. The game has gone through a complete overhaul as it tries to compete with the FIFA series. PES 2010 has improved animations and 360-degree control was introduced, available on the PC, PS3, and Xbox 360 versions of the game via the analog sticks on the respective controllers. PS3 owners benefited from this when using the DualShock’s D-Pad, but the Wii D-Pad is limited to eight-directional control and the Xbox 360 D-Pad to sixteen-directional control due to their hardwares. The A.I. was improved thanks to Teamvision 2.0. The referees were reworked to make better calls during matches. It also features more licensed teams and players than ever before. The cover features players Fernando Torres and Lionel Messi." "In addition to the added UEFA Champions League license, the UEFA Europa League license was also added, both playable in the Master League."